Johnny joined Richardson Insurance Solutions DAC in January 2016 as a Commercial Broker. He is CIP Qualified and has a Bachelor of Arts (Honours) degree. 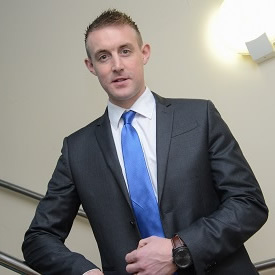 Johnny has previous experience in the Commercial Insurance industry, having previously worked in London. Johnny is now working alongside Eric McGrenery on his accounts.